Is it possible to remove make-up, cleanse and refresh skin, exfoliate, and restore moisture all with one natural product? When linoleic acid (which is a fatty acid that makes up a large portion of the sebum) is not available in the skin, you will naturally produce a sebum called oleic acid that is irritating to the skin. This sebum promotes blockage and causes acne. 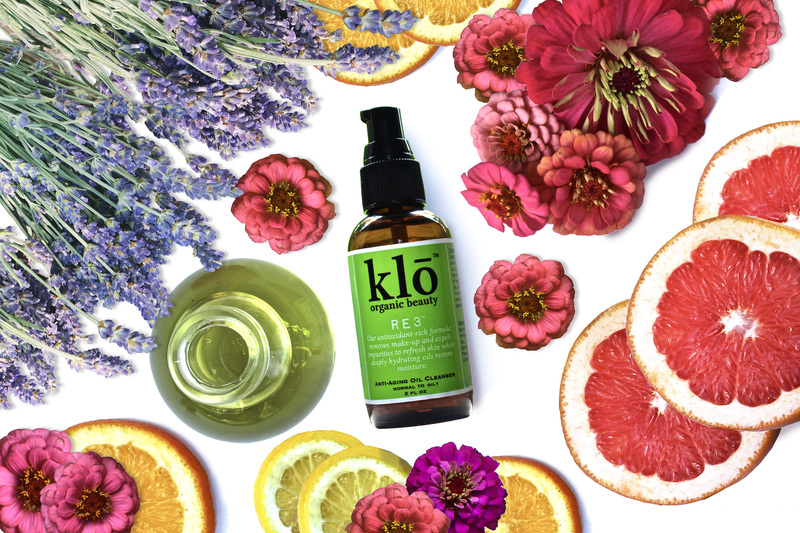 Klō uses oils that not only cleanse the offending fatty acids, but replenish the good ones. When your skin begins getting what it wants, it stops overproducing the pore-clogging fatty acids and balances itself which means no more oily t-zone or dry patches. And no more acne. The Klō Method uses gentle exfoliation which not only clears away impurities that cause acne but also stimulates cell regeneration resulting in smooth skin with an even tone. Using a clean organic product with no toxins is important because acne is an inflammatory response. The chemicals and toxins in products are irritating to your acne-prone skin. Clean skin begins with clean products. Massage a few pumps of oil into your skin. Soak a clean washcloth in hot water and lay over face until it begins to cool. Wipe away oil and repeat two-three times. Finish with a splash of cool water. Follow with serum. Sunflower neutralizes cancer causing free radicals, regenerates cells, and reduces age spots. It has a light texture and absorbs quickly, leaving skin hydrated and not greasy. Castor stimulates skin and the production of collagen and elastin, which softens and hydrates the skin. It acts as a magnet to pull out and dissolve impurities, and inhibits the growth of bacteria and fungi. Grapefruit reduces excessive oiliness and helps shed dead skin cells to brighten face and clear acne. It has antiseptic and antibacterial properties which inhibit blackheads, whiteheads, and acne. Orange has antimicrobial properties which reduce bacteria on the skin to reduce breakouts. Lavender helps to prevent breakouts before they happen by inhibiting the bacteria that causes the initial irritation. Geranium regenerates cells to brighten and rejuvenate skin. It promotes the production of melanin which evens out the overall tone of skin, and lightens spots and scars. It has astringent properties which normalize sebum production. Lemon softens scar tissue to improve overall texture and appearance. 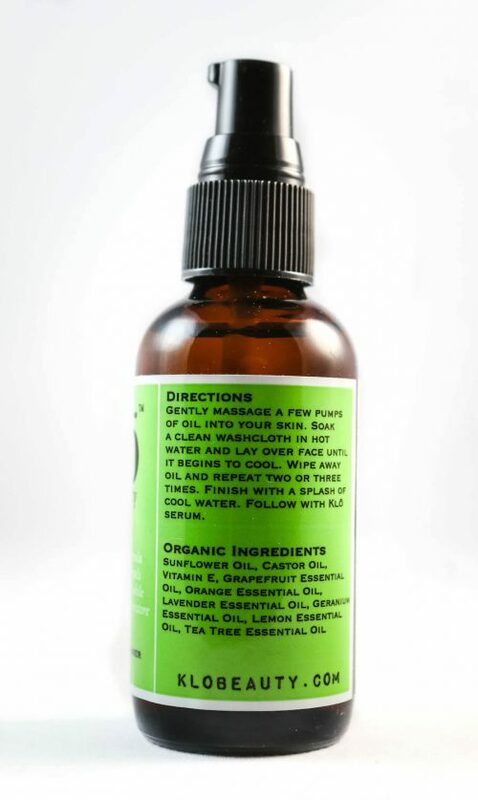 It also balances oil production and helps to clear acne. Tea Tree is antibacterial and antifungal which inhibits acne development and growth. It is as effective as harsh acne treatments such as benzoyl peroxide, but without the adverse side effects. I look forward to my nightly klo routine…this product smells so good and feels wonderful, and my skin looks so much happier in the morning than it used to! The RE3 feels silky when I rub it in — it’s like I’m giving my face a yummy massage — and I know I’m doing something good for my skin. The whole process, from the RE3 to the hot towel to the splash of cool water, feels like my face is taking a little trip to a spa. And it shows in the glow and softness I now notice every morning. I can’t recommend this product enough! Removes Eye Makeup Easier than Anything Else! I have been using the Klo Duo (normal to oily) for 3 months now on a nearly daily basis but my comments here pertain to the Klo RE3. I have never been one to wash my face unless I am in the shower because it makes a mess of water on my bathroom counter so I didn’t let a new product change my ways. I wash with RE3 in the shower every morning. I make sure it is the first thing I do when I get in the shower so that my RE3 bottle, my hands, and my face are completely dry before I begin. 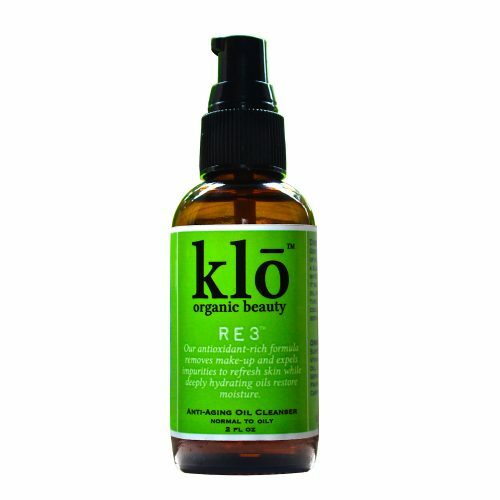 I use 8 pumps of RE3 and rub it all over my face, especially making sure to get it all over my eyelids and eyelashes. It has never gotten in my eye and never burned my eye like other products often do if you accidently get them in your eye. After rubbing it on my face, I wet a wash cloth with hot water and lay it over my face until it cools off. Then, I rub off the RE3 and repeat this process 3 or 4 times until I feel that I’ve gotten off all or most of the RE3. The other nice part about this product is that if you don’t quite get it all off, it is really no big deal. I then continue on with my shower and make sure to apply the serum to my face pretty quickly after the shower. 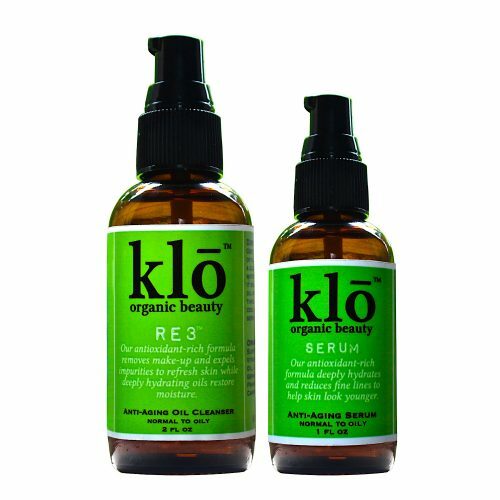 My skin has never felt better in my life than it has since I began using the Klo products. The RE3 also does a much better job of removing eye makeup and mascara than any other product I have ever tried. I love this cleanser! It removes makeup (including eye), exfoliates with the use of the washcloth, and my face is cleaned gently. After just 2 nights of using the RE3 cleanser my acne had started to clear! It is so soothing and the inflammation I had totally disappeared. Now after 2 weeks of consistent use I can say I am in LOVE! I also love that one product can even remove my eye makeup along with cleansing my entire face. Acne Oil Cleanser is the Bomb! I have struggled with adult acne all throughout my 30’s and have used everything on the market, and I can honestly say this cleanser is one of the very few products that has worked for me! I’ve been using it for 3 months now and my acne is gone!! I finally feel comfortable in my skin again and I’m so grateful for these ladies and their dedication to using all natural products to help people feel confident about their skin again. Trust me, you won’t regret buying this product!